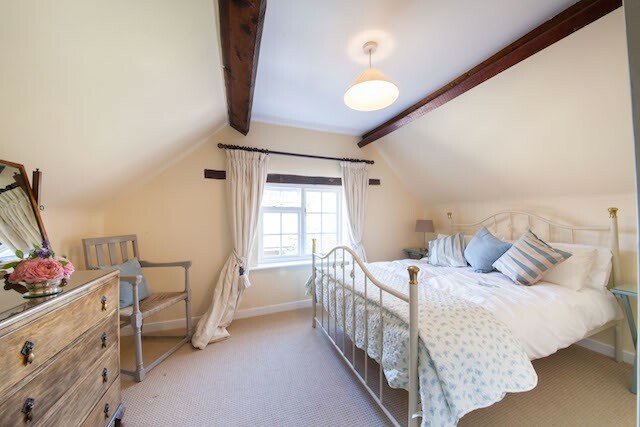 The Carriage House – Sleeps 8. 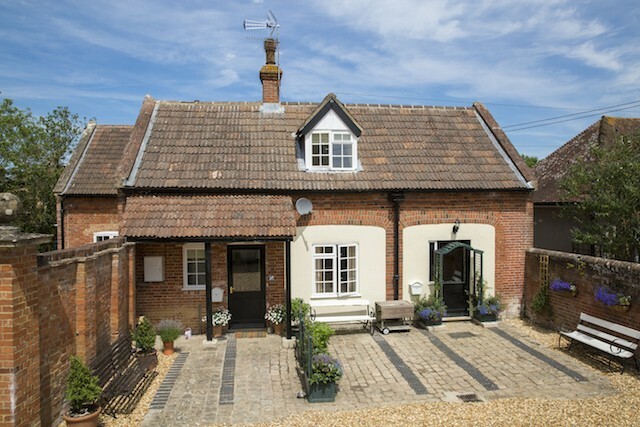 The Carriage House stands at the entrance to Prince Hill House, an impressive grade ll listed mansion in the small village of Worton, 4 miles from the attractive market town of Devizes. The house provides an ideal base from which to explore the many attractions of this fascinating part of Wiltshire. The area is rich in prehistoric sites such as Avebury Stone Circle, Silbury Hill and Kennet Long Barrow and is also of interest for its industrial past – Crofton Beam Engines and a working windmill at Wilton. Narrow boat trips can be enjoyed on the nearby Kennet and Avon Canal and there is plenty of good walking on Salisbury Plain with immediate access onto a public footpath from the house. The historic towns of Devizes, Bradford-on-Avon and Marlborough, well known for their antique shops, pubs and restaurants, are a short drive from Worton, while the Georgian city of Bath, a World Heritage site, the cathedral city of Salisbury and Stonehenge are within half an hour’s drive. Further afield, the Cotswolds and Oxford are within reach for a day’s excursion. 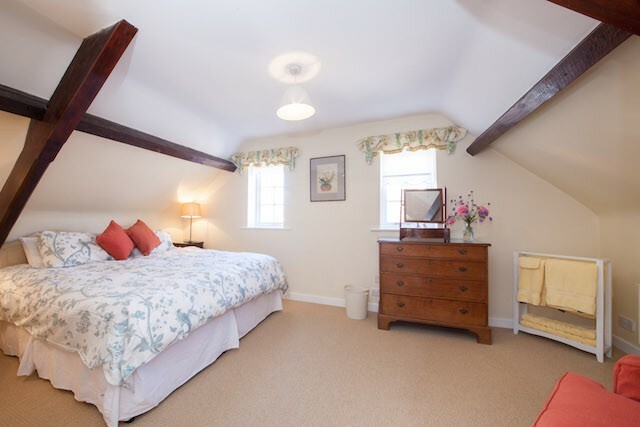 Stylishly decorated and furnished, the accommodation comprises the major part of the former Carriage House which has been carefully restored by its current owners. 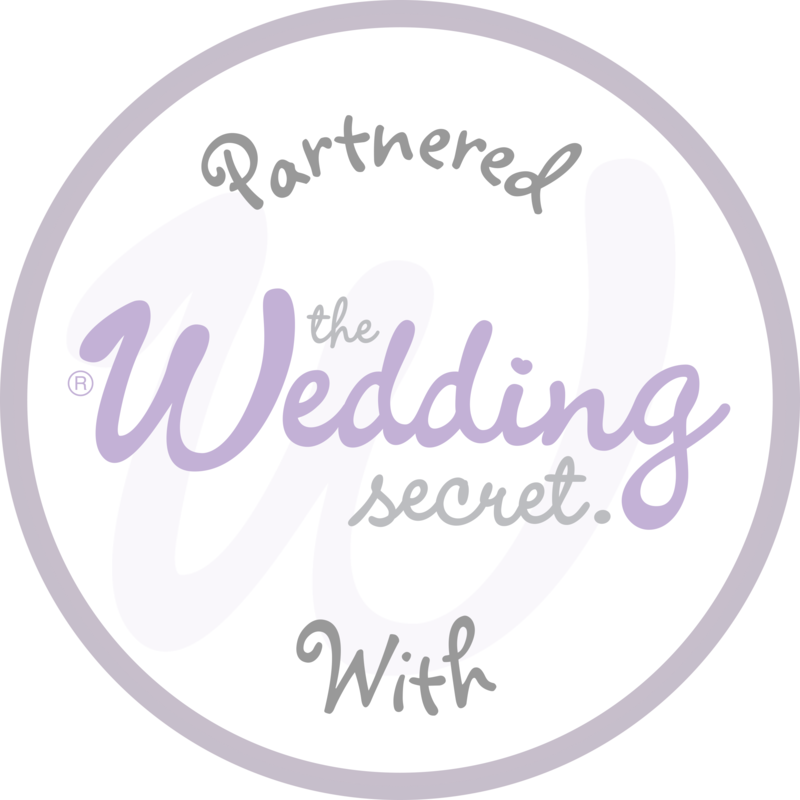 There is ample space for a larger group bit it is equally suitable for a smaller party. Guests will have access to parts of the extensive grounds surrounding the main house, including use of the hard tennis court and former deer park beyond. The main house is of considerable architectural and historical interest, Re-built in the early 20th century by the Peto family, it was reputedly used by Churchill, Eisenhower and Sikorsky for secret meetings during World War ll. 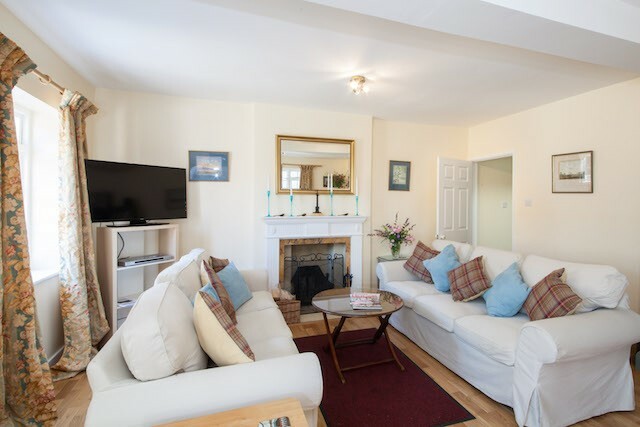 ACCOMMODATION: entrance into a large and very attractive sitting room with open fireplace and a spacious dining area at one end of the room. 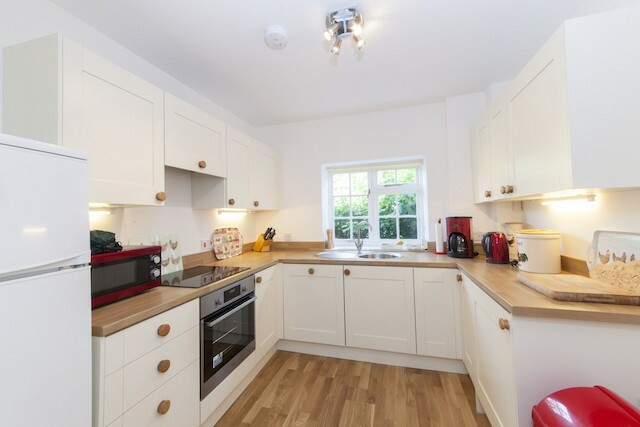 Fully fitted kitchen with integral appliances. 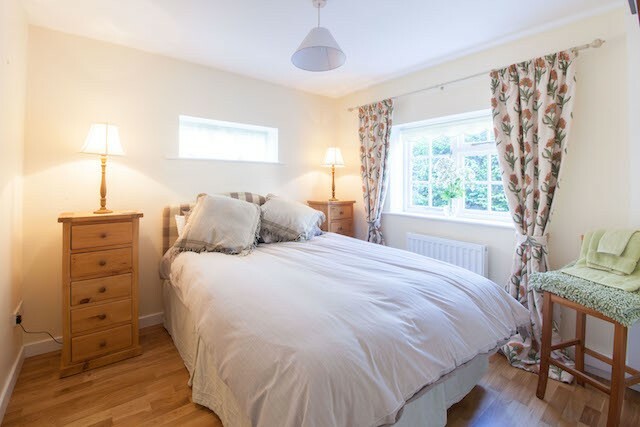 Downstairs: double bedroom with king-size bed, en-suite shower room/wc, wheelchair accessible from both the bedroom and the hallway. Door out to a passageway at the side of the house, also wheelchair accessible. 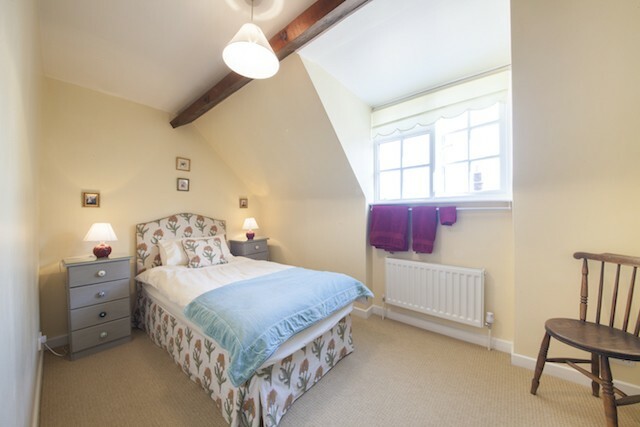 Upstairs:3 bedrooms: one with zip and link beds offering a choice of either super-king double or two single beds, one double room with 4’6” bed and one double room with two single beds. Family bathroom with basin, wc and bath with shower. Amenities: oil central heating, open log fireplace, electric oven and halogen hob, microwave, fridge/freezer, dishwasher, washing machine. Free Wifi, telephone for incoming and local calls, selection of books & games. Fuel and power, logs for fire, cot, bed linen and towels included in rent. HD40” TV with freeview, DVD player. Sorry No Smoking. No Pets. 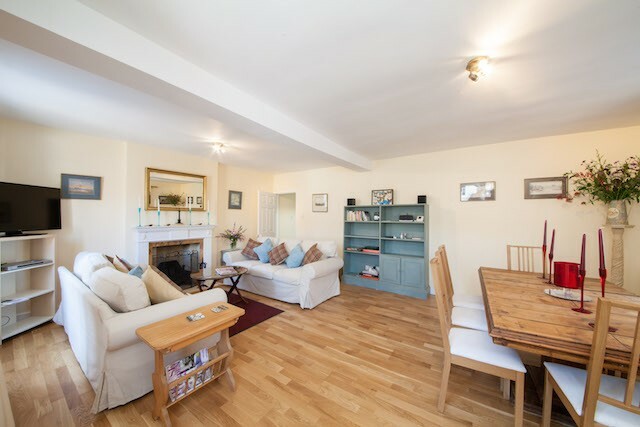 Standing at the entrance to an impressive, Grade II Listed Mansion, The Carriage House comprises entrance into a large and very attractive sitting room with open fireplace and a spacious dining area at one end of the room. Fitted kitchen with integral appliances. 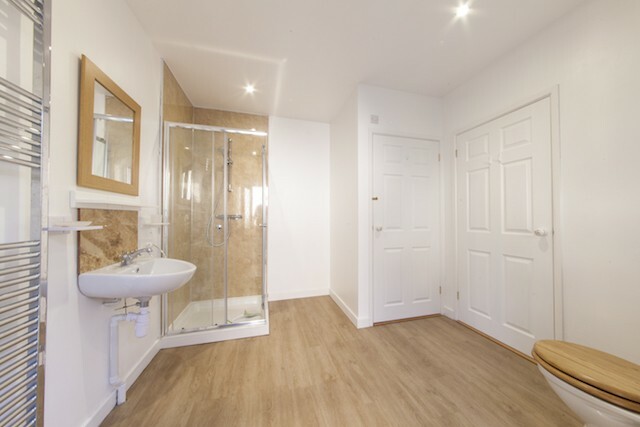 Downstairs wheelchair friendly double bedroom with king-size bed, en-suite shower room/wc accessible both from the bedroom and the hallway. Door out to a passageway at the side of the house (wheelchair friendly). 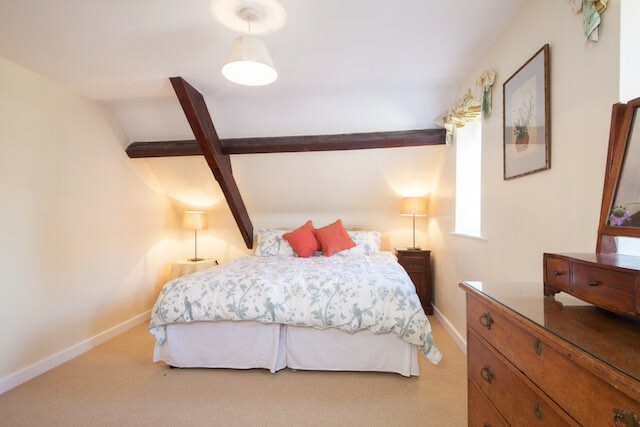 Upstairs: 3 bedrooms: one with zip & link beds offering a choice of super king-size double or two single beds, as required, one double with 4’6” bed and one twin room with 2 x 3ft single beds. Family bathroom/wc with separate shower over the bath. Minimum stay 4 nights.